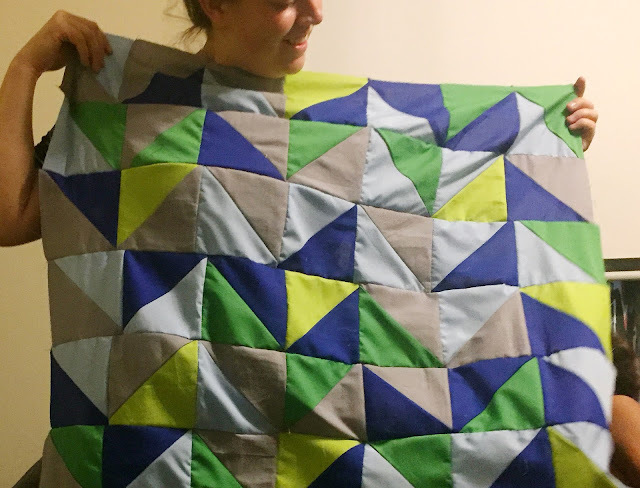 It's been about a year since I made a quilt and I was excited to jump back in for a baby quilt for a new babe in the extended family. 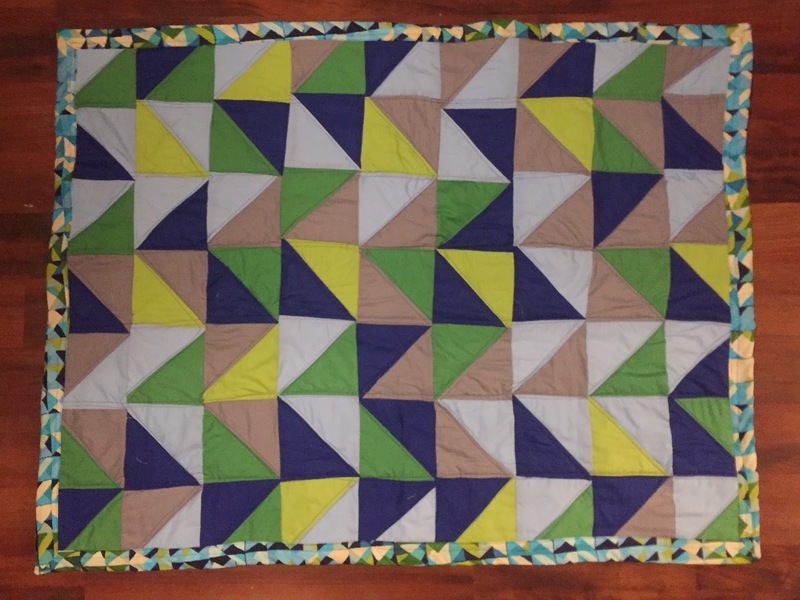 This is not my best quilt craft-wise (the squares don't all line up), but definitely one of my favorites design-wise. 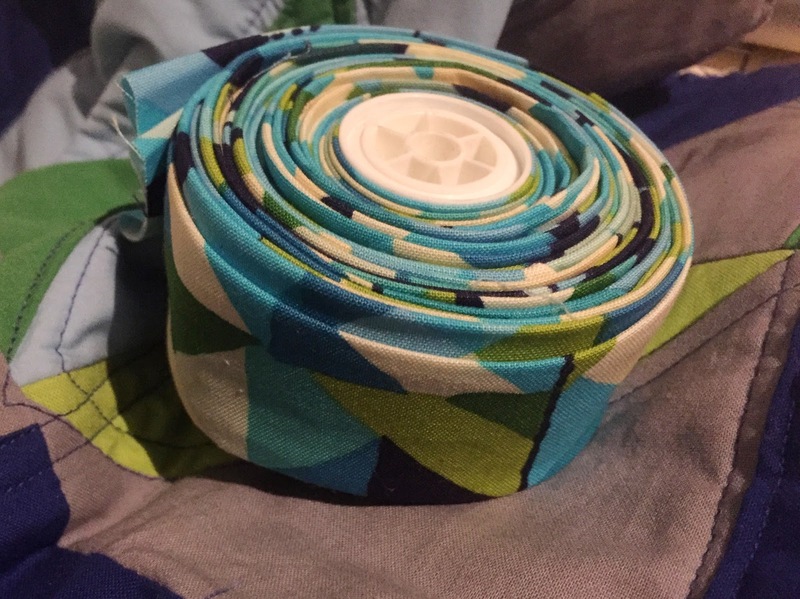 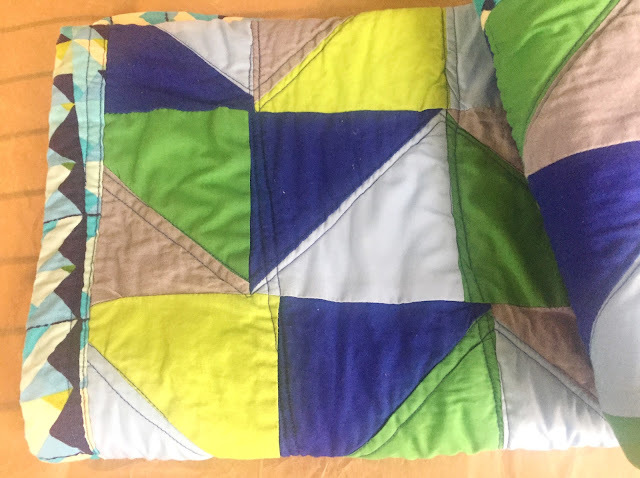 I love the fabric I used for the binding (which I also used for my nephew's quilt) and also love the color combo of the pieces used for the front. 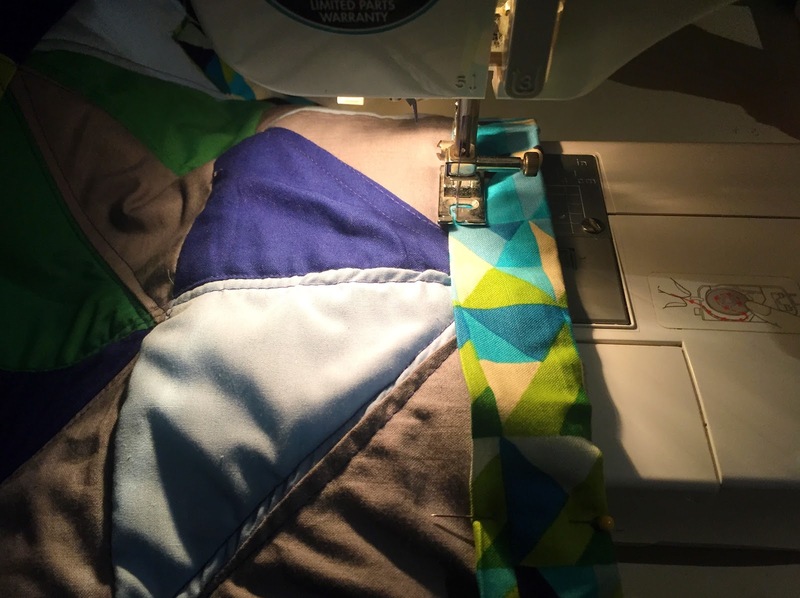 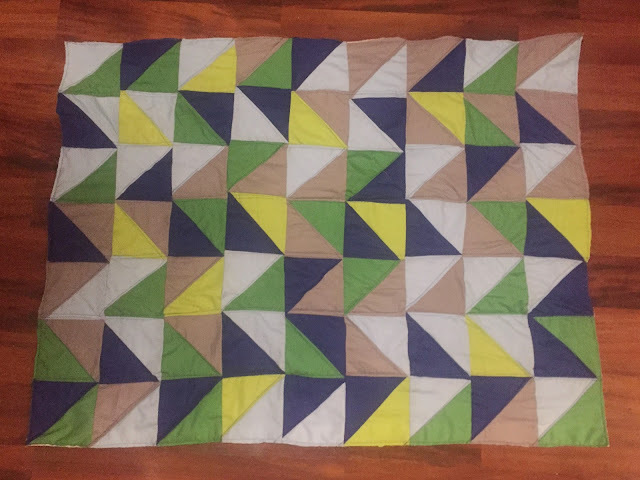 I use mostly the same process for all my triangle quilts. 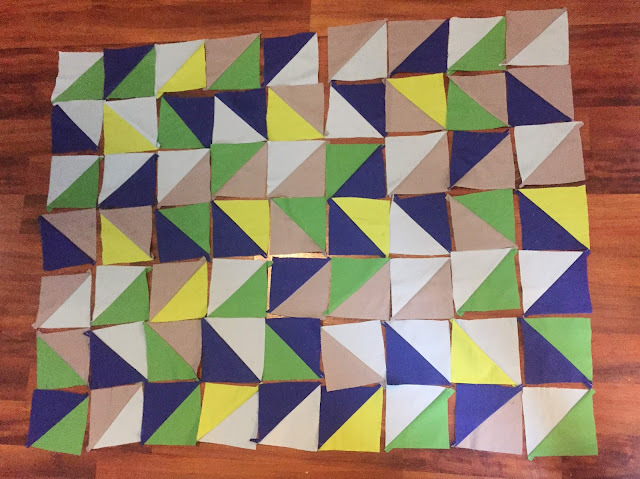 First, I cut out 64 - 6"x6" squares. 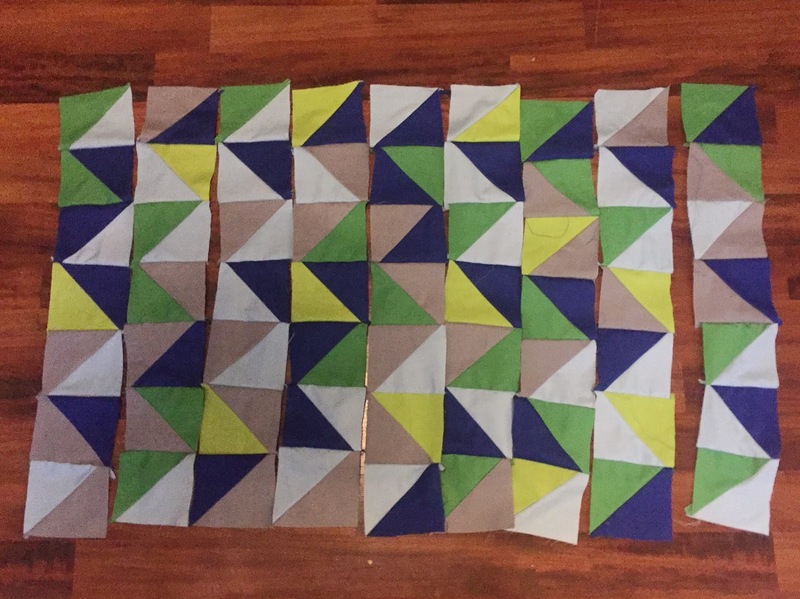 I had a lot of counting help from Cora... along with lots of chatting about the baby. 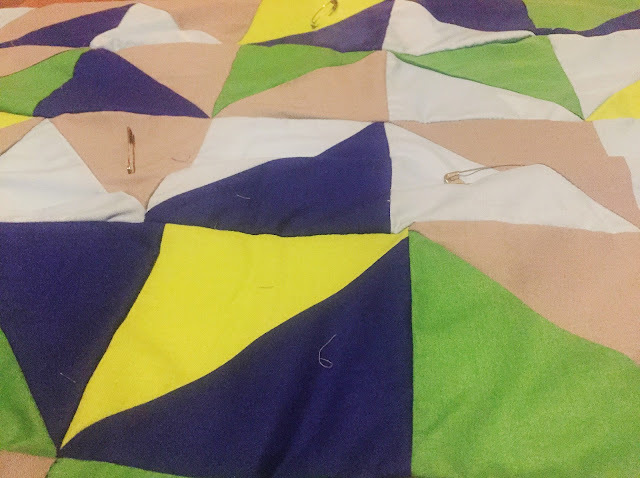 Next, I match up the squares, pin them, and draw a line down diagonally across the square. I use this line as a reference point and sew lines down both sides of that diagonal line. 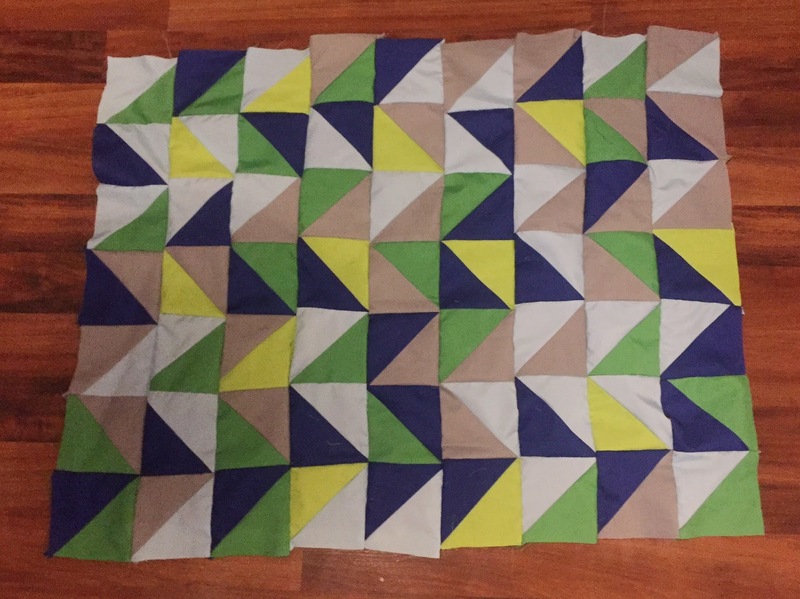 After sewing both sides, I cut down the drawn line and I have two squares complete. After completing all the squares, I lay them out in the chevron/herringbone pattern then stare at the layout for about 15-30 minutes. Depending on what I want for each quilt, I spend a lot of time rearranging the squares. 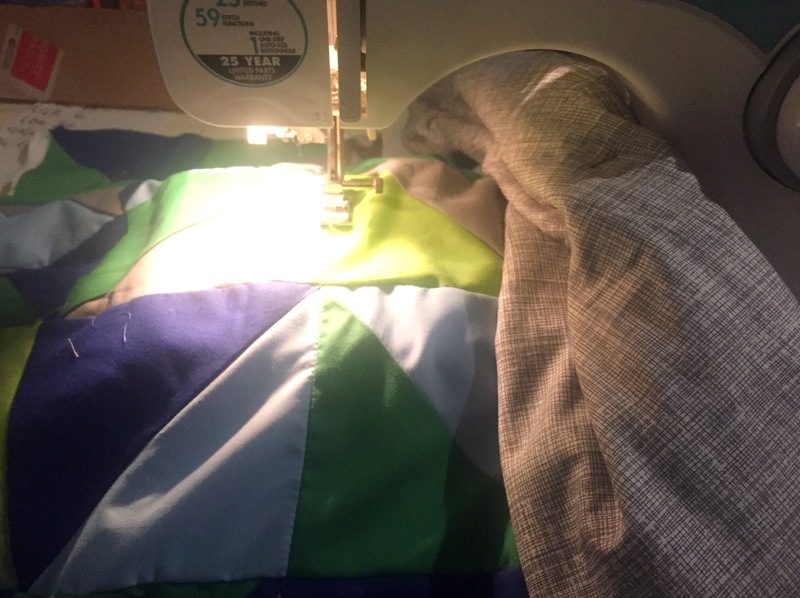 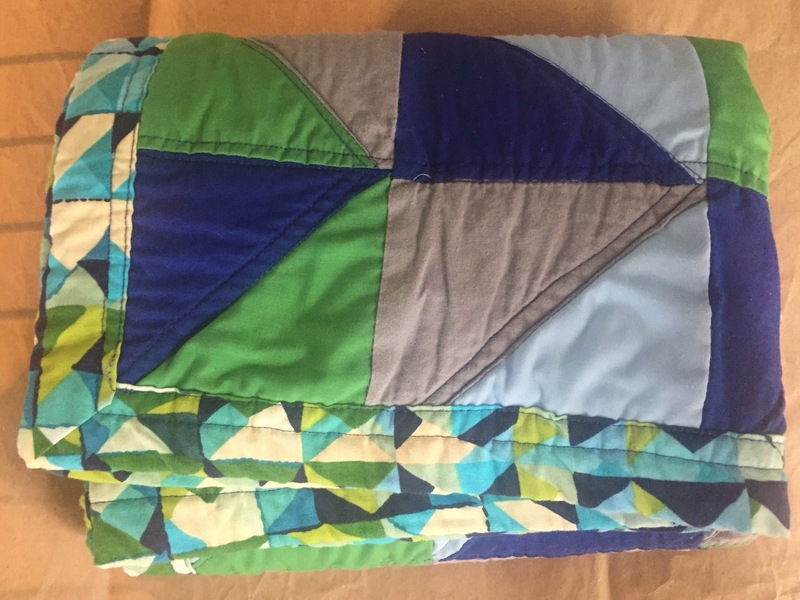 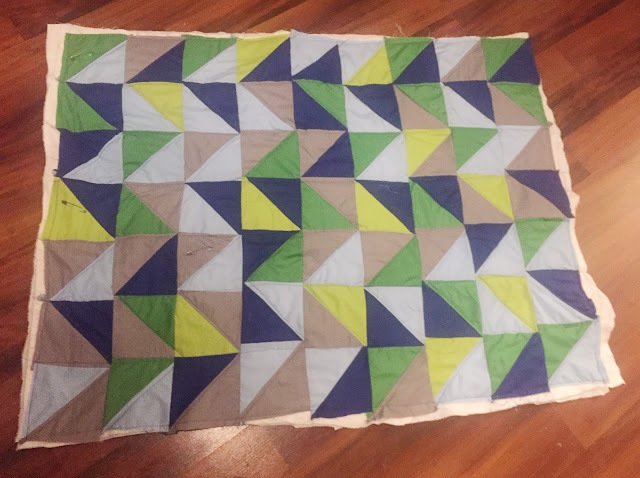 For this quilt, I didn't want any of the same color touching and spent a lot of time making sure each color is balanced and spread out among the quilt front. 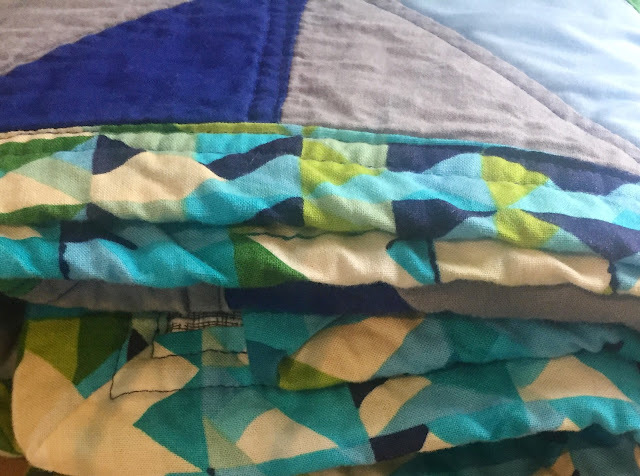 Once I settle on an arrangement, I give it a little bit of time to make sure my eye isn't getting stuck on one particular place. 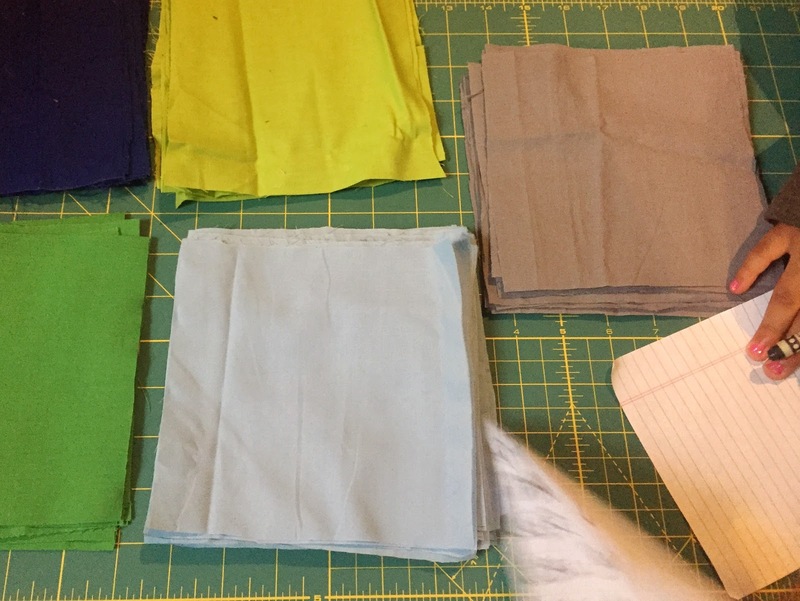 This is probably my favorite part of the process. 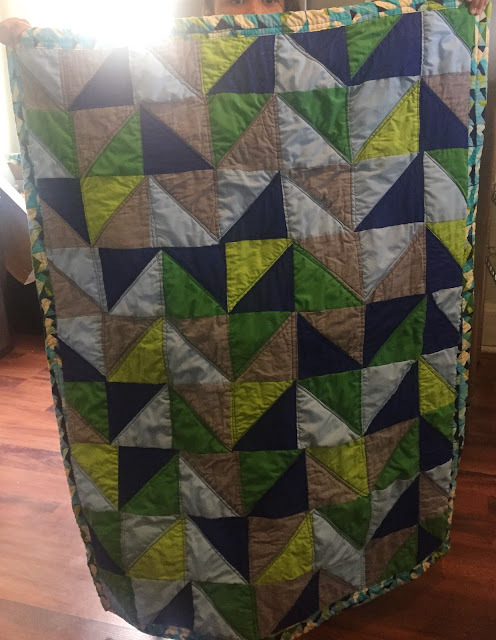 When the layout if finalized, I pin the rows and write a little 1^, 2^, 3^... on the back of each row so I know where is lines up on the quilt. 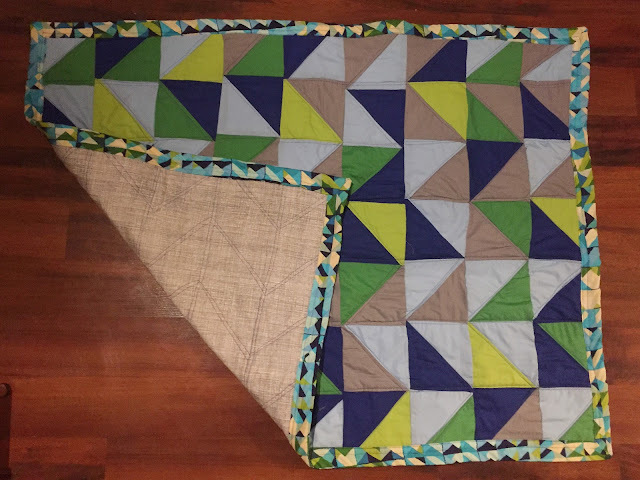 Then I get to sewing that all together. When the front is finished, I always feel accomplished... until I remember how much more work that I still need to do. 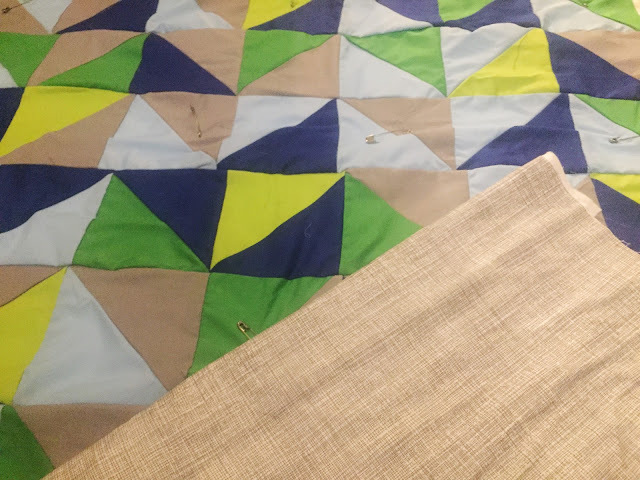 Once the quilt is finished AND IRONED, I will baste the quilt (pinning the front, batting, and back together). My process for this varies, but lately I have been taping down each layer by the corner. I work my way pinning from middle to edges while constantly smoothing out and making sure it's as wrinkle-free as possible... then comes the quilting. 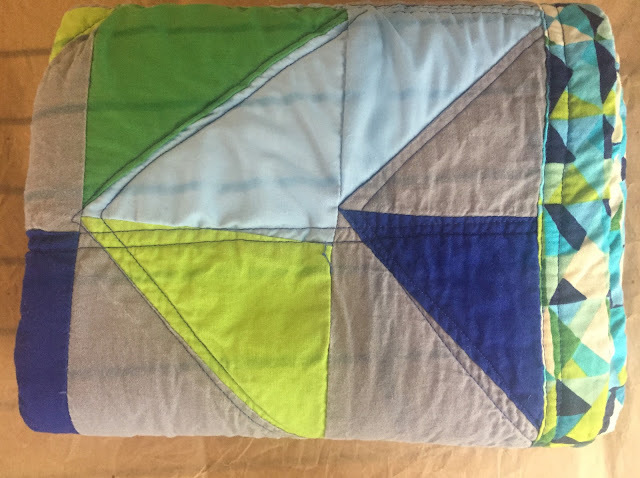 For this quilt pattern, I like to work in vertical stripes and a chevron pattern which looks like herringbone on the back. Because I like the way it looks when I do two lines of stitches, it takes twice as long as it probably should take to quilt the blanket. 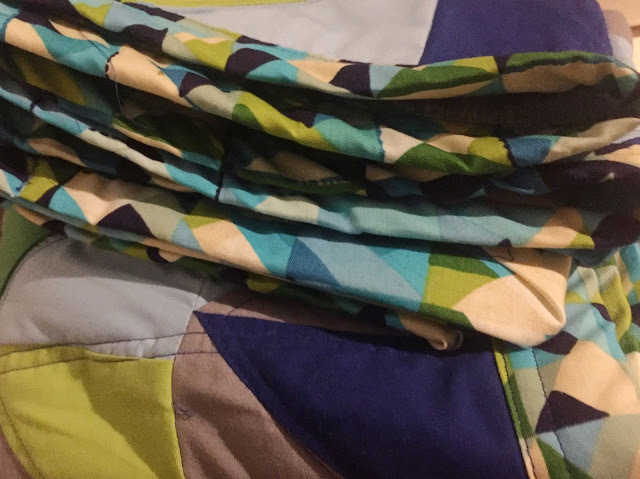 I trim off the excess batting and fabric, then start working on the binding. 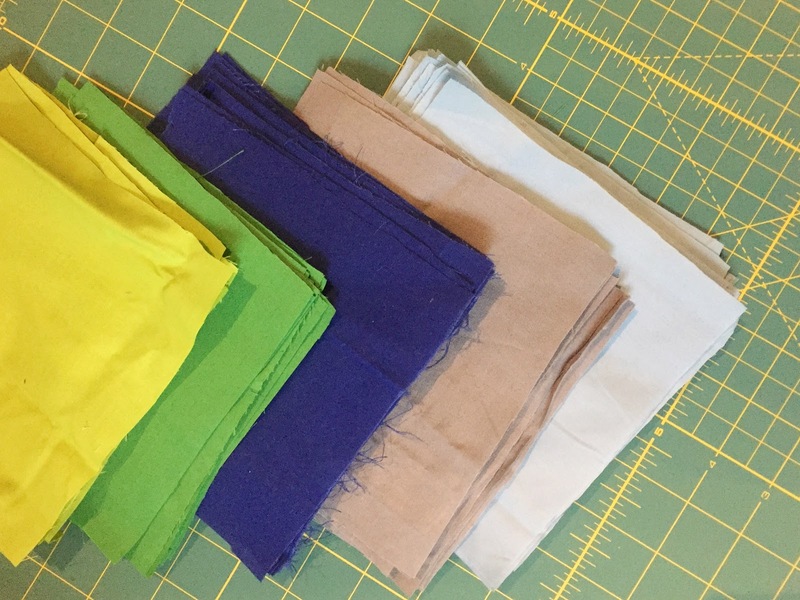 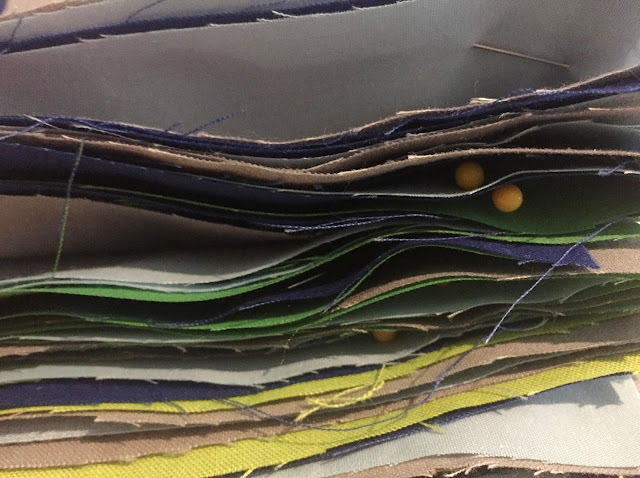 I like a thick binding, so I start with strips of fabric about four inches wide. 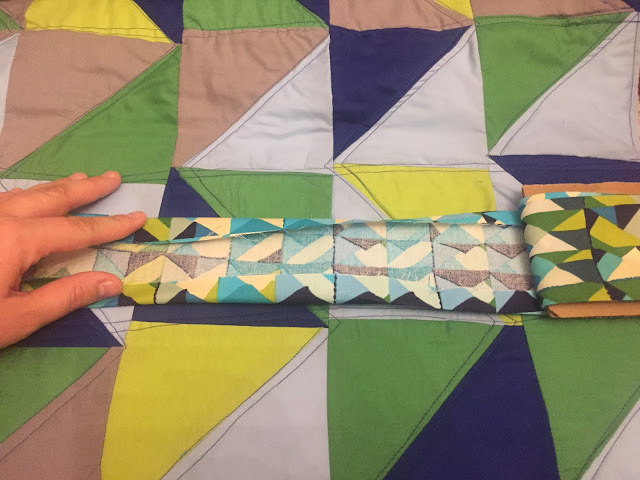 I fold the two sides in and iron through the entire strip, then fold it in half and iron again. 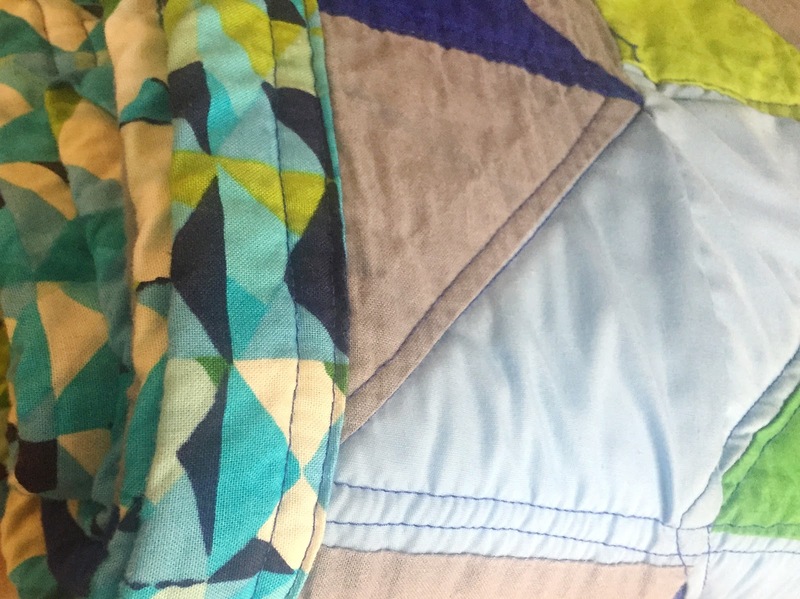 I pin the batting around the edge of the blanket and double stitch it together. Once the binding is done, it's time for a quick wash! 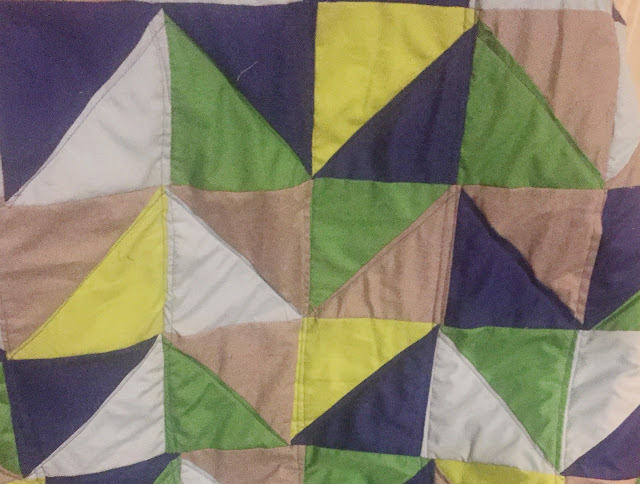 This part is a little nerve-wracking (I'm always worried the entire thing will just fall apart), but I love the way the quilts come out all wrinkly when they're finished. 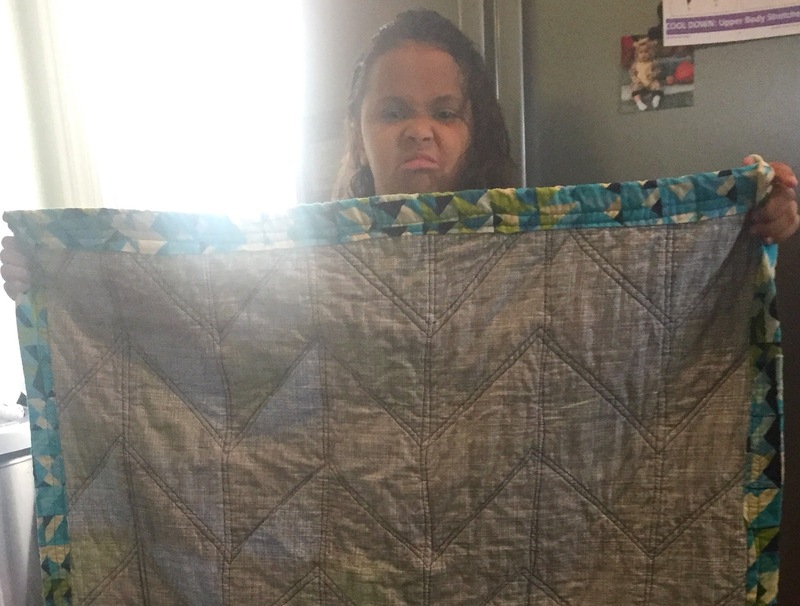 My little model was not happy about holding up the quilt for me. Throughout the whole process, I spend my time picturing the sweet baby using the blanket and I make sure to send the baby and momma little prayers and good vibes.